Exactly one week ago on Monday, a Multnomah County judge found a man not guilty of doing the same thing a Portland reporter is alleged to have done on the streets of downtown Portland. Monday, Mike Strickland will have his day in court as he asks for reduced bail in the case against him. Strickland has been charged with two felonies and two misdemeanors related to unholstering his gun as Black Lives Matter protesters charged him last week. Strickland was in fear of great bodily injury or worse. 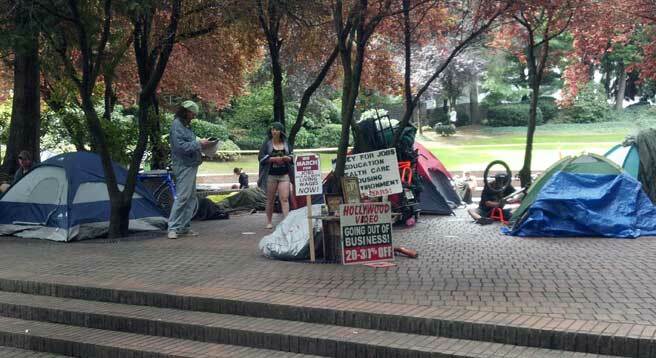 At about 5:00 in the afternoon in October of 2015, Stevan Blagojevic was minding his own business on a walk in downtown Portland, when he happened upon an all-too-familiar scene. The large man began charging Blagojevich — until Blagojevich unholstered his semi-automatic pistol and pointed it at him. The man stopped charging. As he drew down on his would-be attacker, he ordered another person to call 9-1-1 and waited for the cops. Short says that when police arrived, Blagojevich showed them his drivers license and concealed weapons permit. He offered to show his gun to cops, who said, ‘no, just keep it in your pocket.’ Blagojevich was not cited and he went about living his life. But months later, the Multnomah County DA decided to file a charge against Blaogojevich. He was charged with one count of menacing, which in Oregon is a Class A misdemeanor. That case ended last Monday, when, in a bench trial, Judge Jerry Hodson found Blagojevich not guilty of menacing. Why? Because defending yourself against a charging, menacing person is not against the law. It’s actually reasonable. 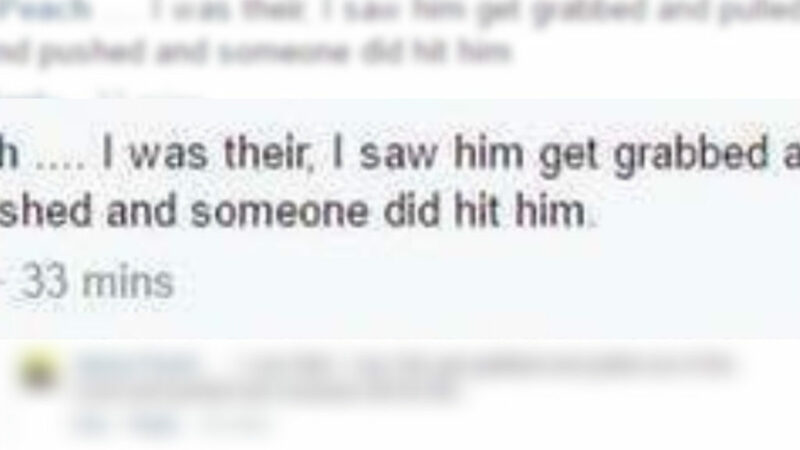 This is essentially the same type of scenario that Mike Strickland confronted. 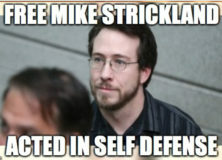 Photo Credit: Screenshot/Facebook from someone who saw protesters assault Strickland before he pulled his gun. The DA’s office has already shown prejudice against Strickland by increasing the charges (see previous posts). I have one question: Will the DA’s office admit it was wrong and drop the charges? Let’s hope Multnomah County’s justice answers that question swiftly and in Mike’s favor soon. After all, the precedent was just set one week ago. And Strickland’s attorneys are Jason Short and Chris Trotter, who just successfully defended Blagojevich.